KIGALI – Over 900 alleged perpetrators of the 1994 genocide in Rwanda have not been arrested and brought to justice, a UN tribunal has said. This was revealed on Tuesday in Arusha, Tanzania during the 25th commemoration of the manslaughter, which claimed the lives of over 800,000 people, mostly from the Tutsi tribe. The United Nations says 300 alleged perpetrators were identified within the East Africa Community (EAC) region and 805 in entire Africa. “Out of them, only 100 were apprehended and brought to justice”, said an official of the United Nations International Residual Mechanism for Criminal Tribunals (UN IRMCT). However, the official of the tribunal which is based in Arusha confirmed that three of the major genocide suspects she could not mention their names are still at large. “The Mechanism is looking forward to dealing with any time they fugitives are arrested”, she said during the commemoration held at the EAC headquarters. Although their names were not revealed, one of them is believed to be Felicien Kabuga, a former Rwandan businessman with a $ 5million tag on his head. The others include Pheneas Munyarugarama, Fulgence Kayishema, Charles Sikuwabo, Ladislau Ntaganzwa, Alloyce Ndimbati and one Ryandikayo. The horrific attrocities in Rwanda were triggered by the killing of the former Rwandan President Juvenal Habyarimana on April 6th, 1994 when his plane was shot down. 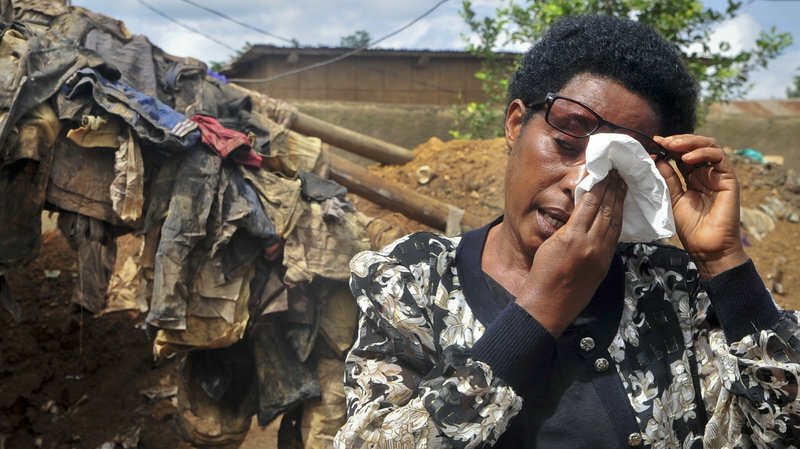 Before it closed business in December 2015, the International Criminal Tribunal for Rwanda (ICTR) – the forerunner to UN IRMCT – had convicted 61 fugitives and acquitted 14. Speaking during the commemoration, the EAC deputy secretary general Christophe Bazivamo called on the region to keep on supporting Rwanda on its path to total healing. “EAC recognized the genocide (against the Tutsis) as a crime against humanity”, he said, noting that EAC would use all means to fight the genocide ideology. On Sunday, Rwanda’s High Commissioner to Uganda Ambassador Frank Mugambage said some countries are still harbouring the 1994 Rwanda genocides suspects, 25 years after international arrest warrants were issued against them. Mr Mugambage made the revelation at Makerere University during the commemoration of 25th anniversary of the genocide that killed about a million Tutsis and moderate Hutus. “We have made to those countries where these elements are freely moving that they have a responsibility to bring them back. Some countries have done some good job, while others have not. International arrest warrants have been issued but nothing much has come out of it, though the war crime tribunal did some arrests and convictions,” He said. He said the 1994 genocide specifically targeted the Tutsi minority and no one should claim that Hutus were also targeted during the genocide. “Genocide is a systematic, premeditated desire to exterminate a targeted group that’s why the 1994 genocide targeted Tutsi groups, though the perpetrators and deniers of this targeted Tutsi killings want to make it like double genocide,” he said.